Over time, kitchen, laundry, and main sewer drains can build-up so much grease, mineral build-up, food, and other debris that a plumber's snake may not be the most effective tool to use. For these very difficult to clear drain clogs, you may need a professional plumber to use a hydro-jetter to clean out your drains. This method involves shooting high pressure water streams through a clogged drain to force grease, debris, and other build-up through in order to unclog it. When you have grease and other objects obstructing your drains, call experienced Bakersfield plumbers who will unclog your lines for a reasonable price and in a timely manner. 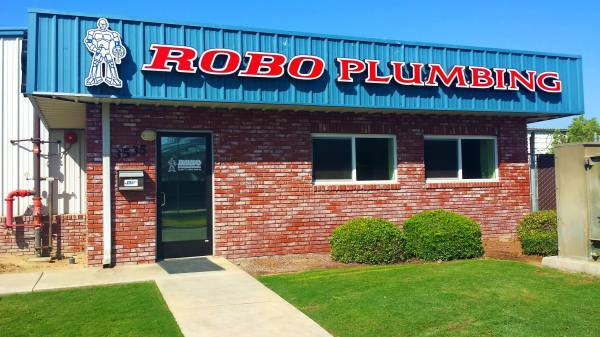 Robo Plumbing represents the best in experienced Bakersfield plumbing companies. Our Bakersfield, CA plumbers have the skills and tools necessary to diagnose and fix any clogged drain, whether it's snaking the drain with an auger or cleaning them out with a hydro-jetter. Day or night, Robo Plumbing is available 24/7 to help you unclog even the toughest of clogged drains. If your line is draining slowly or is backed up, don't wait, call Robo Plumbing today for a free estimate! Interested in Hydro-Jet Cleaning Services?